As we have introduced a 1:1 netbook program in grade four this year, I have changed my approach to student blogs. Rather than having a system where students can earn their personal blog, all students in my class now have a blog as a digital portfolio. As always, we began the year focussing solely on our class blog. I believe it is important to establish a class blog before beginning student blogs for a number of reasons. Students can build their blogging “skill set”. I like to teach students about quality commenting, blogging etiquette (eg. responding to comments), online safety (eg. what information should be published online) and blogging terminology (eg. page, post, widget, comment etc.) amongst other things. A sense of classroom community is developed. Students, teachers and parents can learn and share together at the start of the year. A sense of identity for the class is developed and the blog becomes an online meeting place and showcase for the all the wonderful things that are happening in the classroom. Parents can learn about blogging. Educating parents about blogging is very important. Parents won’t be willing or able to get involved in your class or student blogs if they don’t have the knowledge and skills required. I’ve written a guide to getting your parents involved in your class blog here. In the past, I have allowed a group of students in my class to earn their own blog throughout the year. To find out exactly how I did this you can read my post from early 2012. Monitor student blogs closely and comment somewhat regularly. Ensure parent support was available to help with blogging at home. Ensure the students had the skills and motivation necessary to maintain a blog. As I have mostly blogged with grade two students in the past (7 and 8 years old), this was especially important. Provide small group tuition and support throughout the year. Ensure all students could access a computer to blog on. Until this year, I’ve generally had a computer ratio in my classroom of between 1:5 and 1:3. Now working with older students who have 1:1 computer access, I decided the time was right this year to change my approach to student blogs. In the past, my students have blogged about a combination of their own interests and school activities. This year the blogs are essentially a digital portfolio. Each week during class time, the students publish a piece of work on their blog, along with a reflection of their learning and future learning directions. Families and other students are encouraged to comment on the posts with feedback, questions or support. Enthusiastic bloggers are also welcome to create posts about their own interests out of class time, although I do stress that a parent or adult needs to check the post. At the start of the year, I gain parent permission. This year my permission note covered the class blog and student blogs. You can find the permission notes in this post. I set up each blog through the dashboard of our Global2 class blog, making both myself and the student the administrator. You can find the step-by-step instructions on how to do this using Edublogs Campus sites (like Global2) here. Setting up a spreadsheet with student blog details such as URLs and usernames has helped me keep track of all the details. During our first lesson, I had the students find the activation email in their school email inbox, log in to their dashboard, change their password and record their blog URL/username in their diaries. I used Edublogs’ “My Class” option which allows you to manage student blogs in bulk. This page explains more about “My Class” and how to use it. Early on in the setting up process, I had each student join our “Class”. I could then display a widget on our class blog to show all of the links to the student blogs. I added each student blog to my Feedly RSS reader to keep track of their posts. Although it would be impracticable to comment on all posts, my Feedly subscription helps me to keep up to date with each student blog. While we only started the student blogs a few weeks ago, enthusiasm is high and the amount of learning that the blogs facilitate is impressive! I look forward to continuing to work with my students on this evolving classroom program. How do you use student blogs in your classroom? My name is Callie Amond and I’m an Elementary Education major at USA in Mobile, AL. This blog has inspired me to create a class blog and have my students each start their own blog once I become a teacher! So I thank you and you have given me many great ways to start off my career! I just hope my students are as excited about it as yours have been! That’s great to hear. 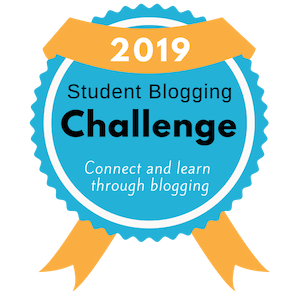 I’m sure your students will love blogging! Hello, my name is Courtney and I am an Early Childhood/Childhood Education major at a college named SUNY Geneseo in New York (which is in the United States). This blog has shown me the benefits of blogs/technology in the classroom. I am blown away by the efforts you put in the create a successful and well-thought-out project, and the skills the children gain are incredible! This project is really preparing students for the technology-driven world they are part of and will contribute to now/someday. I was also very impressed with the parental involvement in this project. Parents can question and comment on their child’s work, and in turn they have an effect and enhance their children’s abilities along with the teacher! The community is able to see your students’ finished products and the learning process itself. Someday I hope to employ a blog just as creative and stimulating as yours! Thanks for sharing! Thank you, Katthleen, for sharing your ideas. It contains some wonferful tips. I have “dipped” into blogging with my students in the past, but as you mentioned did not feel like I had it right to start, mostly due to some of the things you mentioned at the start of your own try. This year I am working as an EAL teacher and thought about integrating blogging and a digital portfolios at the start of next year. Your post here is an excellent summary of important things to consider. I am bookmarking it! I know it will serve as a great resource. Many thanks. I’m so glad you found the tips useful. Thanks for letting me know. I hope you get a chance to try using blogs as digital portfolio. I’m looking into setting up student blogs as e-portfolios, so your post was very helpful! A few questions: Do your students come to you already knowing how to type? Some of my students could take hours just typing one simple post! Also, do they type and format all the posts by themselves? I’m impressed by the clarity and formatting of some of your student posts! For grade 4, it seems pretty advanced! My students don’t come to me knowing how to type. In fact, I find many most of them have very few ICT skills (apart from playing games and doing ‘fun’ things). I try to find time for some typing practise each week. Here are two posts I’ve written about it in the past (a bit old, but might have some useful links). With a bit of practise, the students will rapidly improve their typing skills. I test them each term and always notice a significant improvement from a consistent approach. The less confident typists can just write short posts until they build their skills. They students do all the posting and formatting themselves. I like to explicitly teach them the skills to do this (not all at once of course – over time). I have found your tips on how to set up and manage classroom and student blogs extremely useful! 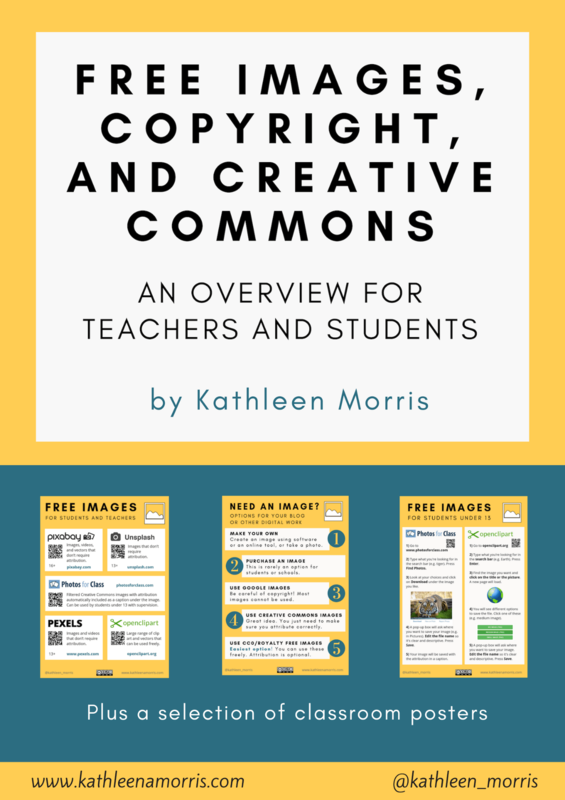 As part of a collaborative learning project at my school I am working with colleagues to set-up class and student blogs and use the blogs as a platform to share the students learning. Your tips on having high literacy standards for posts and clear guidelines for the blogs has helped get the project off to a flying start. Next term we are hoping to get greater parental involvement, your experience and advice will be such a help. Thank you and congratulations on soon becoming a Mum! I’m so glad to hear my tips have helped! Blogging has been a real evolving journey for me over the years so I really enjoy sharing the things I’ve learnt. Good luck getting your parents involved! 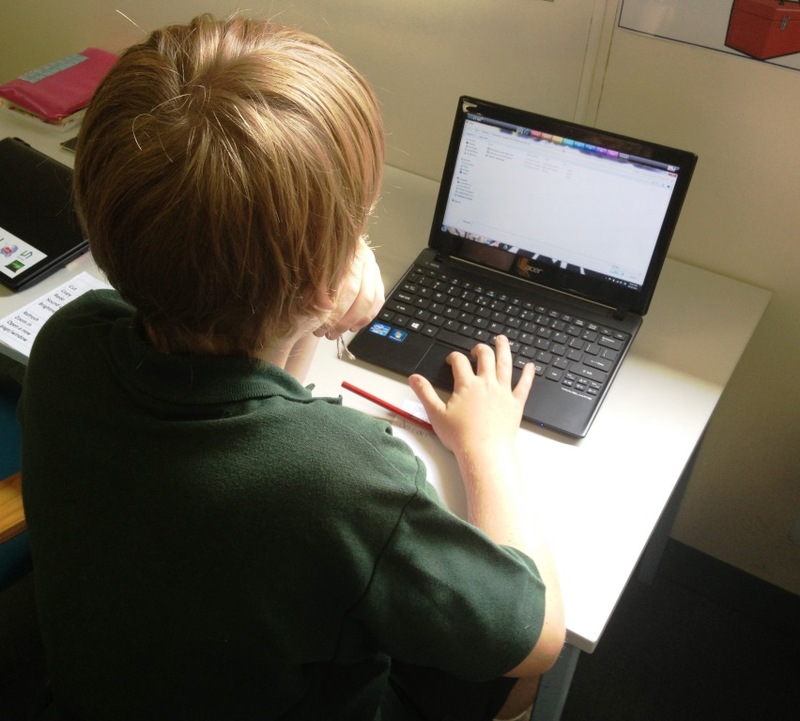 Hi Kathleen, I work in School Age Care and we are working right now and implementing blogging into our daily programming as a way to communicate with families. Your resources for sharing with families have given me a step up into how to approach it with them. Thankyou! Great to hear you’re using blogging in your program. I’m sure the families will love it! Thanks for your fantastic advice. I’m just wondering what process you undertake at the end of the year when students move up to the next year level? Are the blogs then removed from the teacher responsibility, passed onto the parent as the administrator, or handed over to the Year 5 teachers to administrate? In the past, at the end of the year, teachers and parents are encouraged to continue blogging with the children if they wish. If teachers/parents haven’t wanted to continue the blog, there has been no reason to delete it, it can just sit in cyberspace for the child to look back on. Note though, this is the first year we have had digital portfolios where all students have had a blog. So I’m not sure what will happen next year. It would be ideal if the students could continue blogging in year five, however, blogging would need to be a school wide initiative. How did you like edublogs? I felt that having to pay for things that were free on wordpress just didn’t seem right. Do you think the edublogs platform is better for the students than wordpress or does that matter for the projects? I think wordpress would teach them more, but I am not sure if it’s what they need to be learning at that point. I love Edublogs – the support is especially good. I’m lucky in that my education department pays for an Edublogs Campus subscription. There is no cost to teachers and students in my state. WordPress may teach students more but it depends what your goal is – programming or the other benefits of blogging. Edublogs is easy enough to use while still allowing more advanced users to make their own customisations. I don’t work for Edublogs by the way! That is just my opinion from a number of years of educational blogging. My name is Tanya and I am working on a certificate in instructional design, and just recently started working with blogs. I think having a blog in the classroom is an excellent idea. It gives students a chance to get to know each other and maybe even help each other with struggles in the class. In younger students, parents can also monitor students thoughts. In older students and developing a portfolio, this can serve as a resume of sorts for future employers. Employers can get a feel for what type of work the individual is capable of and get an idea of what they can do in the work place. Excellent idea of a classroom blog.